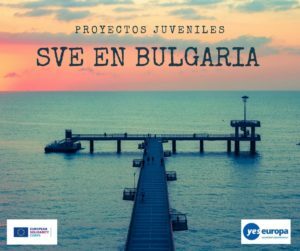 Se buscan Voluntarios Estonia en 2018 para jóvenes menores de 30 años con el Programa Erasmus+ que cubre todos los gastos. 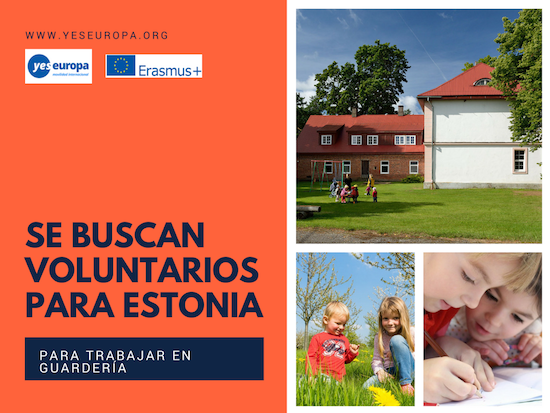 Si quieres más oportunidades busca en nuestras becas en Estonia. Kindergarten belongs to local municipality. It consists of ten kindergarten classes (children aged 1,5 to 7 years). This academic year there are 219 children registered and participating in classes. 25 pedagogues work in kindergarten. Besides working with curriculum on daily basis, our kindergarten especially focuses on children’s healthcare, environmental awareness, local studies and preparation for school. We have nice traditions like: days with family, sport activity days, visiting theatres and concerts, hikes and excursions during spring and summer. It is a municipaltity kindergarten in Võru. Kindergarten works in 10 groups: two groups for small kids: 1,5 to 3 years and eight for children aged 3 to 7. There are 44 teachers and employees. Our kindergarten values outdoor education and cultural traditions. The kindergarten is working all yearround. The international volunteer could bring an international awareness to the life of children and also employees. Võru is quite small town in South-East of Estonia and as Estonia is member of EU it would be nice to give personal experience to children starting their early years. Volunteer cold be as assistant of kindergarten teacher, music teacher or at sport activities in hall or outside. Workers of kindergarten will support volunteer initiative to make children play – scheme more exiting. The day in Kindergarten is following: 7-8.30 gathering and games; 8.30 breakfast; 9-11 lessons, musical or sport activities; 12.30 lunch and mid-day sleep; 15-16 games, 16.30 dinner and games. Võru County with its hills and valleys and its forests is one of the most beautiful regions in Estonia. The town of Võru (founded in 1784) is situated in South-East of Estonia, on the bank of lake Tamula, It is the centre of Võru County, there are 43 000 people living in the County of Võru and 15 000 people living in the town of Võru. Tourism near Võru is growing very fast. The distance to capital city Tallinn is 280 km but to second biggest town Tartu only 69 km from Võru. Võru and its county have quickly developing tourism. Võru has long traditions on holding very special and unique cultural events like The Võru Folklore festival. The Folklore festival is an international event where music events are very important. The Lake music concerts in August on the Tamula lake. The most famous person from Võru was Fr.R.Kreutzwald, the same person who wrote the Estonian national epic “Kalevipoeg”. If you are in Võru, you should walk in the Kreutzwald park, it is a very beautiful park. In winters people go skiing and snowboarding. Besides these events there are many art exhibitions: The Võru Artists Union events, workshops, social events for people in all ages and contests. There are one high school, 2 primary schools, a sport-school, a music-school and many hobby groups, a cultural center “Kannel”, a library and a sporthall, also other clubs and pubs in Võru. The possibility to go to swimming pool is in Väimela what is 7 km from Võru, also health trail in Kubija. In summer the best place for swimming is lake Tamula or numerous other lakes around the Võru. In winter there are nice hills where is good chances to skiing and snowboarding. There is also possibility to do extreme biking, hiking and other sport. 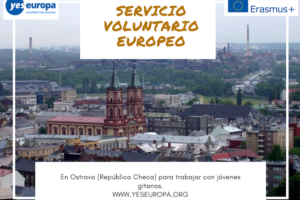 Võru has already two or even more EVS projects and this will give possibility to get more information about different spheres of voluntary work and to spend time together. The task of the volunteers is to help the kindergarten personnel in their daily work with children. She/he can work in one age group or share the work between different groups depending of volunteer interest or ability. She/he will never work alone but under supervision and guidance of kindergarten group teacher. The main tasks are following: participate and help teachers in games or lessons with children, prepare lessons and materials for activity, help music teacher in music lessons. She/he can bring his songs and gams and sometimes teach simple songs in her/his language. Prepare festivals or holidays (Christmas, Easter, Independence Day etc): teach songs, dances, dramas or prepare exhibitions. The exhibitions about his/her country or some country from Europe would be very welcome. The working time for volunteers will be 30 to 35 h per week from Monday to Friday. The schedule could be different: in some days from 8 to 13 and other days 12 to 17.30. Volunteer can have the meal with children. In free time she/he will have money for food. In free hours volunteer can use internet in kindergarten. She/he will live in rented room or flat. 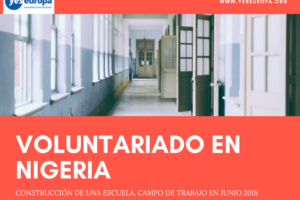 Volunteers will also expected to take part of other practical activities: to assist to dress kids for going out to play in the yard; collect toys or books after plays or lessons; help kids before and after mid-day sleep and during their meals. Another sphere could be to organise different events for teachers – like language courses. The project is open to everybody who is motivated and ready to work with small kids. The male volunteers are as much welcomed as female. Interests in music and art are an advantage, also some previous experiences with small kids. 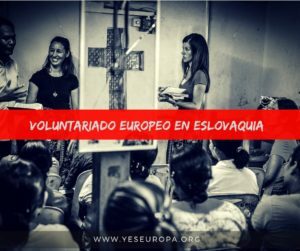 The volunteer should be ready to learn Estonian language. She/he should be vaccinated against hepatitis. 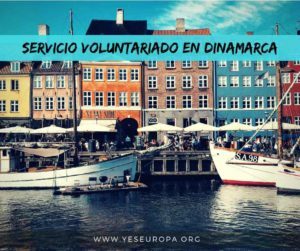 • that the volunteer will get all the practical and psychological support from the staff. The volunteers will have an supervisor who will help the volunteer to understand the new environment and feel more comfortable. 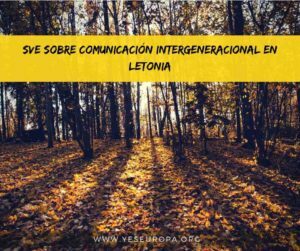 Volunteer will have the opportunity to learn Estonian or Russian language. 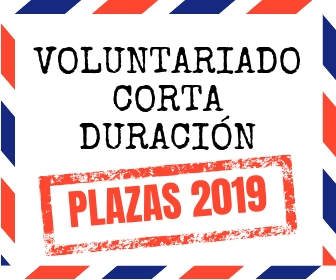 the volunteer will live in apartment with convenient transport connectivity to the workplace, each volunteer either in a separate or shared room. Apartment is fully furnished with beds, bedclothes, bath/shower & equipped kitchen. As an alternative, the volunteer can be accommodated in a student hostel or in a respectable local family with the same conditions. Food will be prepared by the volunteer at home, money will be provided by our coordinating organisation. 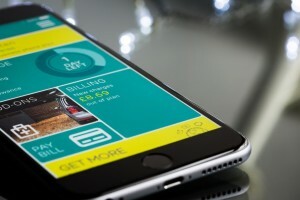 In addition, volunteers will be paid a monthly allowance according to EVS financing.